One of the best things about travelling to new destinations is that you can plan your trip however you want it. You can go all out and spend your time in resorts five – star hotels and wellness centers, or you can opt for a budget – friendly destination. The same goes for Romania as well. More and more tourists are happy to discover that Romania is a very budget – friendly destination, as there are so many great things to see and to do for less than what you would pay in other European countries. 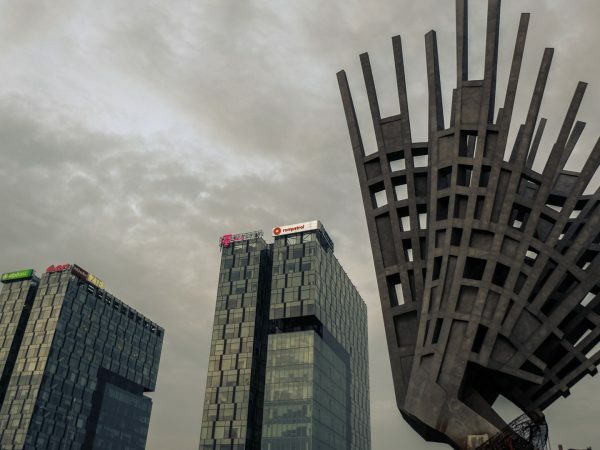 For those of you who don’t have a lot of money to spend on a trip, here are some awesome travel destination ideas in Romania that won’t make you break the bank. Bigar waterfall became famous around the globe after it was ranked first in the top of the unique waterfalls in the world, conducted by The World Geography magazine. 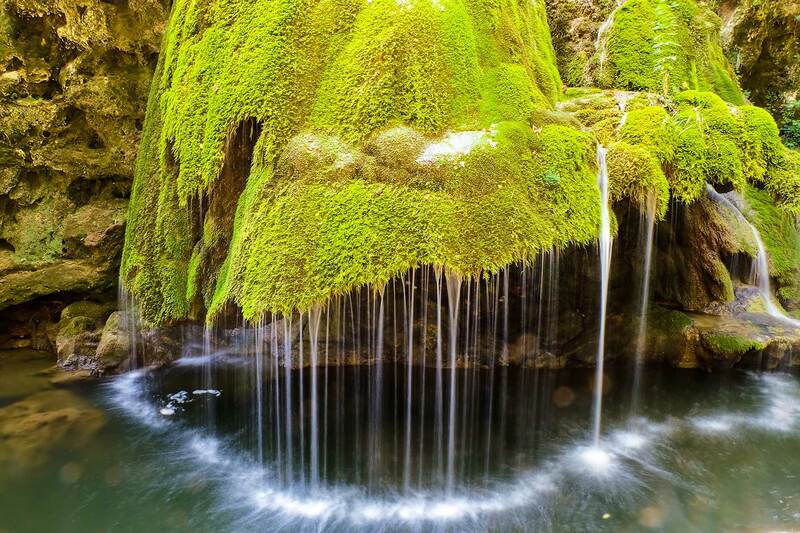 Bigar waterfall is located in Caras-Severin, not far from the Nera Natural Park. The little waterfall, totally covered in green moss, offers a spectacle of color and special water games. In the place where the cascade waters are collected, they have electrifying shades of blue. The place where the Danube flows into the Black Sea no longer needs any special presentation. The Danube Delta is the most complex reserve of flora and fauna in Romania, an idyllic place, that is always changing. The Danube Delta is by far the most beautiful creation of nature and wildlife reserve in Romania, of third ecological importance in the world. It’s located in the richest ornithological fauna in the world and it’s a home of endangered mammals and birds. 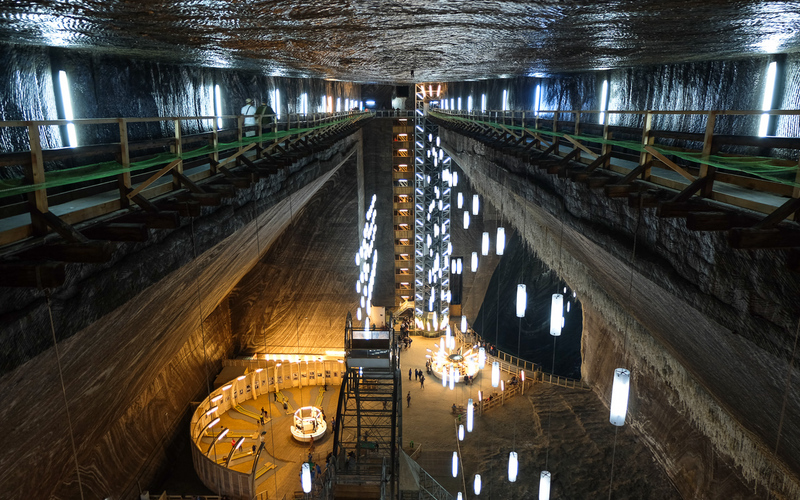 Considered by many tourists as one of the most fascinating places in the world, Turda salt mine attracts each year thousands of visitors. For over three centuries, thousands of salt cars were extracted from this mine, and now this space has been brought back to life as a treatment center that offers a wide range of entertainment for adults and children. Thus, visitors can play mini-golf, billiard or bowling, they can admire the beautiful lighting inside a huge wheel or in a rowboat on an underground like, while children can enjoy a ride on the carousel. Also the Turda salt mine, history enthusiasts can learn more about how the salt used in the past was exploited and admire medieval machines unique in Europe. The Danube crosses no less than ten countries in Europe, but there are nowhere else more impressive sceneries than the ones created in the Danube Boilers. Here are steep slopes bathed in crystal clear waters of the river that separates the Carpathians Mountains from the Balkans. 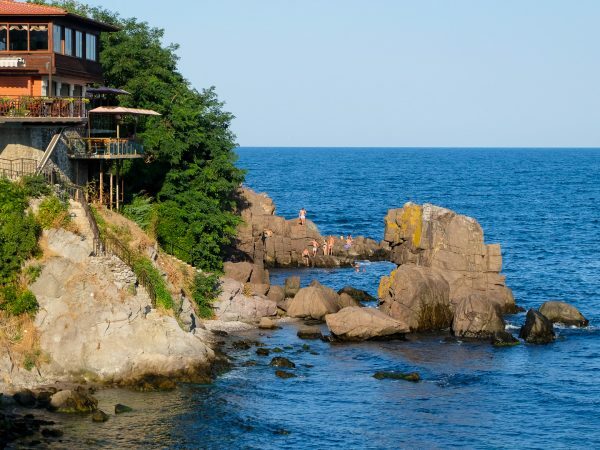 Although the path along the water is easy to go by car, nothing compares with a boat ride where you can admire Decebal’s face carved in the stone, the largest sculpture of its kind in Europe, and the monastery Mraconia from the bay with the same name. Hiking enthusiasts who will venture on nearby mountain trails will be rewarded with spectacular views over the boilers. 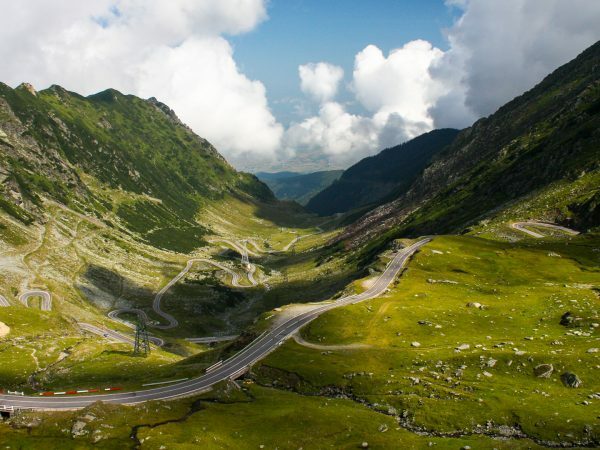 The Bucegi region is one of the most beautiful and interesting mountain areas in Romania. With a multitude of tourist attractions, the Bucegi Mountains have become a popular destination for mountain lovers and beyond. 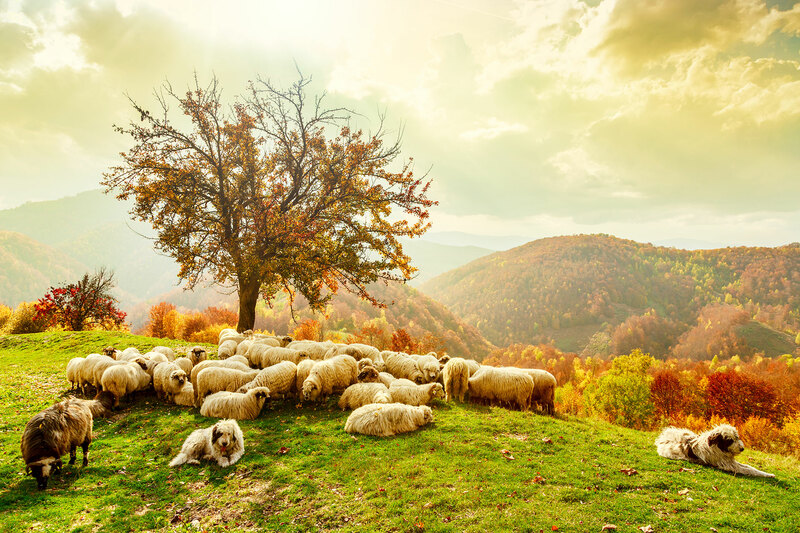 Whether talking about their dizzying peaks, beautiful caves, fairytale castles and fascinating legends woven around these places, the Bucegi are a natural paradise. Some of the most famous symbols of Romania, Babele and the Sphinx, in Bucegi, attract curious from around the world. The appearance of the two monuments of nature is bound to many legends. Babele (“the old women”) are actually Dochia and her sheep, which froze while they were grazing. As for the Sphinx megalith, it is said that the Egyptian monument was realized after the Sphinx of Bucegi, both having the same height. The Caraiman Massif is one of the most recognizable mountains in Romania, not only impressive because of its shape, but also because of the Heroes Cross, which was built on top. 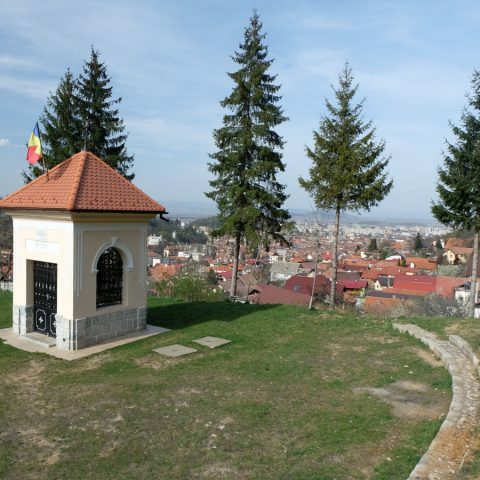 Located right on the slope, toward the Seaca Valley, this monument is unique in Europe. The Heroes Cross was built at the initiative of King Ferdinand and Queen Maria I, in memory of the heroes railway employees who lost their lives during the First World War. The cross is seen from a distance, and if you will dare to climb up to it, at an altitude 2,291 meters, you’ll have the opportunity to admire the beautiful landscape of the Bucegi Mountains. If you want to get on the “roof” of the Bucegi, then you need to arm yourself with patience and special equipment. 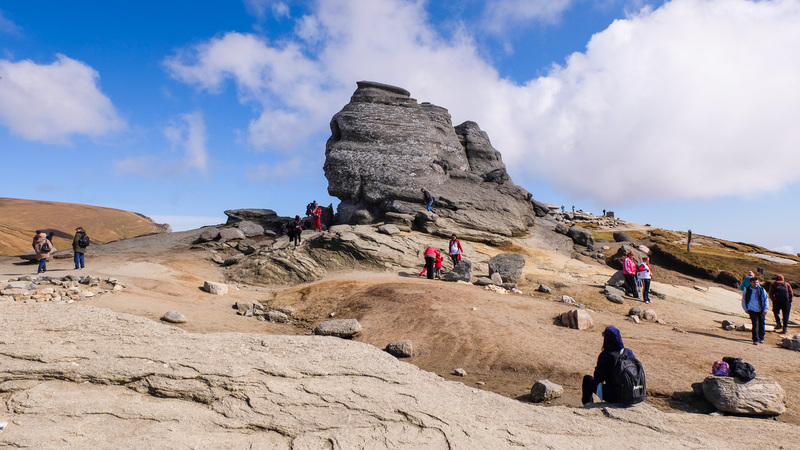 Omu Peak is the highest point in Bucegi, at an altitude of 2,505 meters. Here is the weather station Omu Peak, which is considered the highest permanently inhabited place in Romania, and a hut with the same name. Instead, the grander panorama that unfolds in the foothills is the real attraction of this stunning place. Legend says Omu Peak is actually a shepherd who thousands of years ago was lost on this massive, because of the storm. Because he didn’t find his way back, the shepherd began to swear and curse and God was furious and turned him into a rock. Romania boasts with ancient and picturesque churches that attract tourists from all over the world. Among the most interesting ones are undoubtedly the fortified churches that are spread throughout Transylvania. With a fascinating history and imposing size, some of these churches have reached the World Heritage List of UNESCO. One of the most popular places in Romania is … a small village where time seems to have stood still. 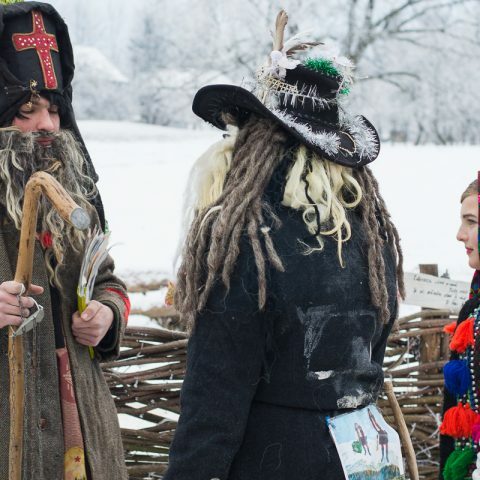 Viscri does not differ too much from the rest of the villages in Transylvania. The exception is that it is one of the favorite destinations of Prince Charles of Great Britain, so this little village quickly gained international fame. The most important objective is the fortified church of Viscri. Although it boasts with magnificent decorations, this place of worship is one of the best preserved in the region. The Evangelist church was built in the thirteenth century by the Saxons settled in the area, and it was enlarged and fortified two centuries later. There are other fortified churches throughout Transylvania, which you can discover on a unique tour that offers you the opportunity to get acquainted with some of the most beautiful Romanian villages. As you can see, you don’t need to have a generous travel budget for these and other Romanian travel destinations. Accommodation is very affordable or you can even find very nice guesthouses in the countryside. Most likely, your host will offer you traditional Romanian dishes, made from fresh ingredients: vegetables, fruits, dairy products and meat specialties. 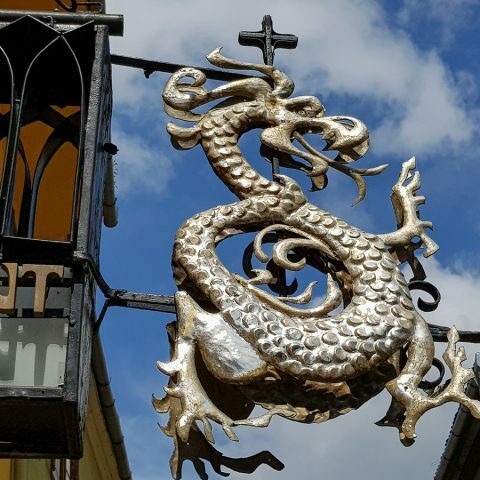 If you’re still in doubt about choosing a budget – friendly travel destination for you or your family, you can opt for the Romania Budget Tour, or see what the rest of our Romania Tours have to offer.